Siblings Michael Hussey Nickname Huss, Bomber, B.O.M. 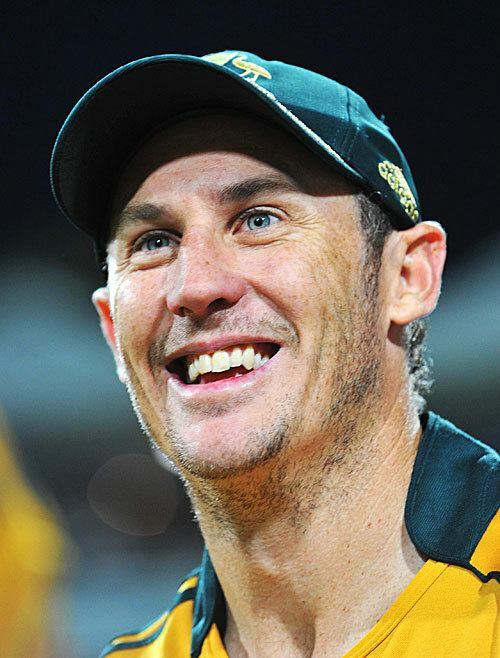 David John Hussey (born 15 July 1977) is an Australian cricketer. Hussey is a right-handed batsman and can also bowl right-arm offbreaks. He is the younger brother of former Australian Test cricketer Michael Hussey. Husseys cricketing prowess was perhaps first widely acknowledged after an innings for the Victorian Bushrangers in 2003–04, his first full season of first-class cricket. Hussey scored 212 not out as his side scored a record 455/7 in the 4th innings to beat New South Wales in Newcastle. He finished the Australian season with an aggregate 857 runs at an average of 61. In 2004–05 his four day form let him down and he was dropped from the Victorian Pura Cup side. Hussey unsuccessfully asked Cricket Victoria for a release to return to Western Australia. Another modest Pura Cup season for Victoria in 2005–06 saw him make 500 runs at an average of just over 30. It was again in the one day arena where he impressed as he smashed 535 runs at 76.42. This tally included 130 against Queensland and he won the states limited-overs player-of-the-year award. In 2006–07 he repeated his Newcastle heroics with another match winning unbeaten century to beat NSW in the 4th innings. Captaining the side in the absence of Cameron White and Brad Hodge, Hussey finished with 125 as his side made 362 for 7 chasing 360 for victory. The winning runs came from his bat with a 6 off Stuart MacGill. It took his first thousand-run season in 2007–08 (he made 1,008 in the Pura Cup at 56) before he was finally chosen for a tour, the ODI series in the West Indies in 2008, and earned his first Cricket Australia contract. In February 2008 Hussey made the second fastest Australian domestic one-day hundred, off 60 balls. Hussey played as a Twenty20 allrounder, bowling in all Victorias matches with success (a wicket in all but one game and leaving him with 10 for the tournament). In 2007–08 Hussey was named Victorias Player of the Year in all three domestic cricket formats. Hussey started his English cricket career at Horsham Cricket Club in Sussex. Since 2004 Hussey has played for county side Nottinghamshire. In the English summer of 2004 Hussey score 1208 runs for Nottinghamshire. In 2005 he had another prolific season, scoring 1231 runs. He hit two centuries and one double century, 232* against Warwickshire as his county went on to win the championship. In the subsequent county season Hussey scored a career best 275, off just 227 balls and with 14 sixes. His record for the year was an exceptional 1,219 runs at 93.76. 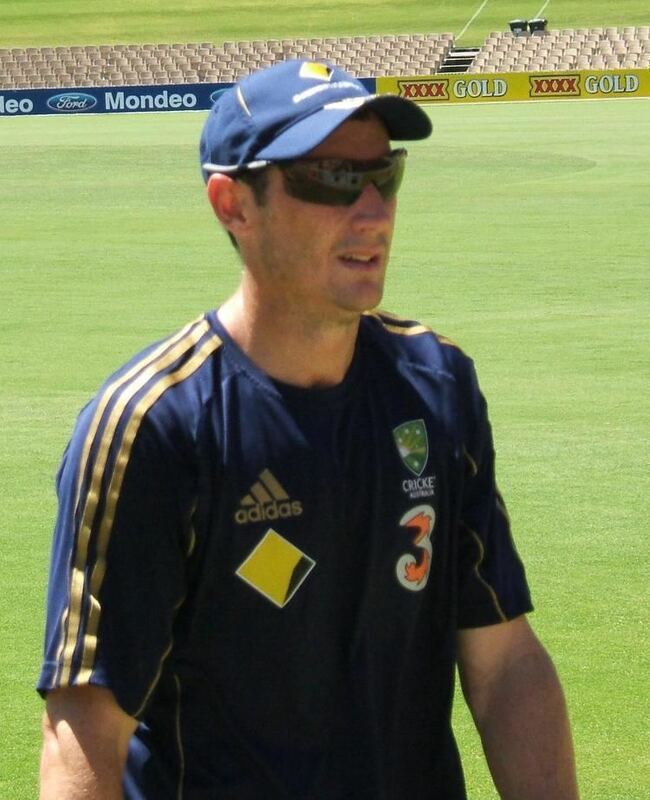 Hussey signed for Nottinghamshire County Cricket Club for the 2008 and 2009 seasons, but due to commitments to the Australian national team withdrew from the end of the 2008 season. He returned to Notts for the majority of the 2010 season, and left the county at the end of the 2013 season, signing off with a century against Somerset in the County Championships. During his final season he also helped Notts beat Glamorgan by 87 runs to win the YB40 final at Lords, their first one-day trophy since 1989. In 2004 Hussey played four one-day internationals (ODIs) for Australia A scoring a century against the West Indies. In September 2007 David toured Pakistan with the Australia A team, scoring two centuries on the tour. Hussey made his international Twenty20 debut for Australia against India at the MCG on 1 February 2008. Although he was not required to bat, he did take a wicket and a catch. Husseys international representative career continued with selection for the ODI tour of the West Indies in the Australian off-season of 2008. He made his debut at Basseterre on 4 July 2008 in the fourth ODI of the bilateral series against the West Indies and scored 52, involved in a 50 partnership with brother Michael. In the fifth ODI, he created a new record for Australia when he struck a half century off just 19 balls. Incidentally, earlier in the same match, wicket keeper Luke Ronchi scored his half century off just 21 balls only to see it eclipsed by Hussey minutes later.